Happy almost Valentine's Day lovebirds! 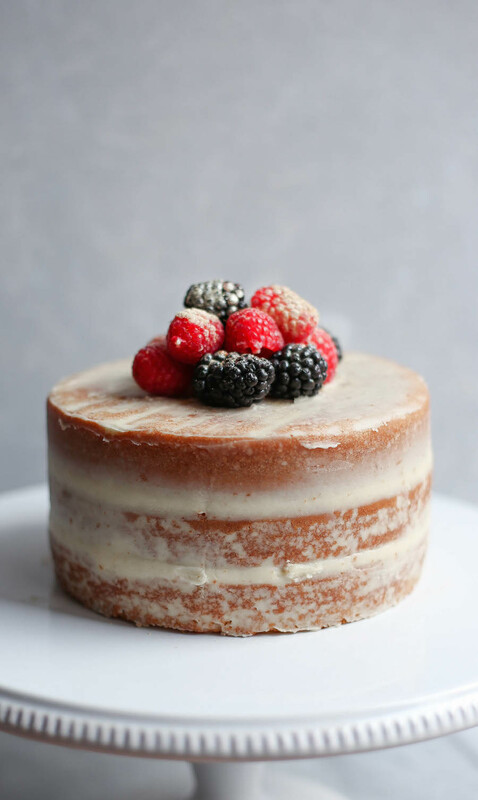 This recipe for champagne cake is a two-for-one in that it's not only delicious and adorable, it's also incredibly fun to make. Which means not only can you make this for your Valentine, you can make it with your Valentine! Date night cake-making party?! I think so. Not to mention, you'll need someone to help you polish off the leftover bubbly, unless you're like me and don't need any help at all. This champagne cake is perfectly moist and slightly more dense than a traditional vanilla cake (like if a pound cake and a birthday cake had a little baby perhaps). The addition of the champagne offers a wonderful, subtle flavor that pairs so well with the tart raspberry preserves and the sweet vanilla buttercream. Topped with fresh berries and a sprinkle of gold lustre dust for shimmer, this cake is magical. Just be careful who you share it with, as they will most certainly fall in love with you. See below for step-by-step instructions and enjoy! In a large bowl, cream together the butter and sugar until combined using a hand mixer or a standing mixer. Then, add the eggs one at a time and beat well after each egg. Next, add the vanilla, oil and yogurt and beat until just combined. Then, slowly beat in the dry ingredients and then finally, the champagne. Once the cakes are baked, let cool in their pans for about 15 minutes. Once cool, place your palm over the cake and flip it upside down onto a cooling rack lined with parchment paper. If the cake feels stuck, gently run a thin knife around the edge of the pan to loosen the edges. Then, flip over on parchment and let cool completely. While your cakes are cooling, beat together the remaining cup of softened butter with the confectioner’s sugar, gradually adding in the sugar and mixing on low speed. Continue mixing the frosting until combined. Then, add in the vanilla and milk. Beat on medium speed for 1 minute and add more cream if you desire a thinner consistency and more sugar if you desire a thicker consistency. Then, place one layer on a cake stand, top side up. Next, create an icing dam around the perimeter of the cake layer, by filling a plastic baggie with icing and cutting a small opening at the tip. Then, spread a smooth layer of frosting. If using raspberry preserves, spread about 1/4 cup of preserves on top of the frosting, inside the dam. Using an offset spatula, smoothly ice the cake all over. Add more icing for a more covered look and less for a “naked” look. Then, top with your favorite garnishes such as fresh raspberries, blackberries and a sprinkle of gold lustre dust! Enjoy! 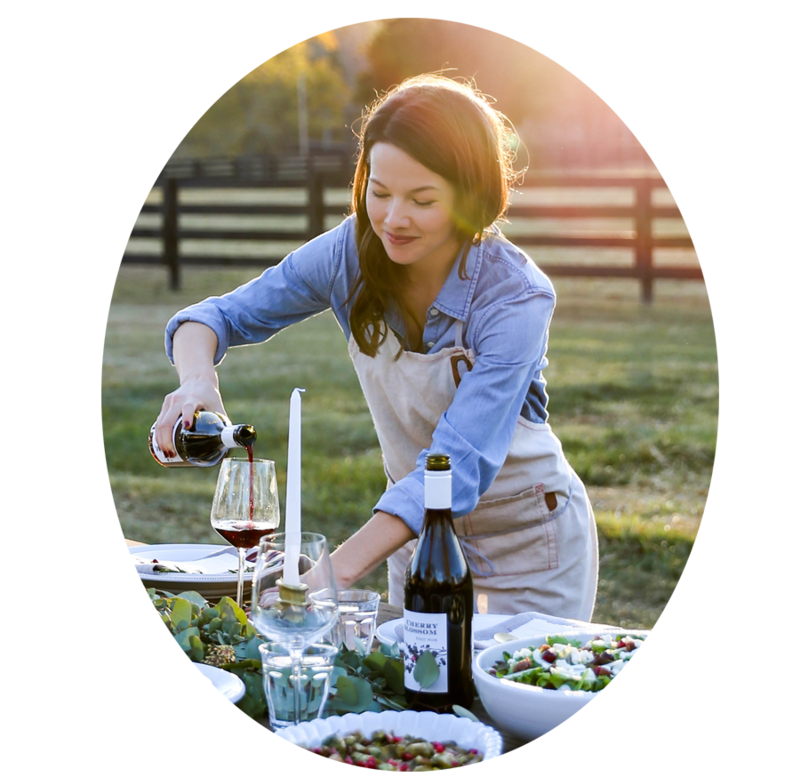 This recipe was developed in partnership with The Edit, a wonderful lifestyle blog by EXPRESS!